W.C. Addison, A Summer Day, Gulf of Mexico, Florida. Oil on board 7 and 3/4 by 14 inches. W. C. Addison was one of a group of Florida artists, including A. Baranowski of Miami, and Madam Zikmund of St. Petersburg, who may be thought of as Tourist Artists, in that they were, like the Highwaymen, able to paint quickly, and in quantity, small souvenir paintings, sold as inexpensive memorabilia, to tourists. Originally from Beverly, Massachusetts, Addison had a studio at 278 A. Cabot Street in Beverly. He spent years in Florida during the winter season. His larger canvases reveal a highly skilled professional artist. Addison is listed as an artist in the Daytona City Directory in 1914, 1915 and the St. Petersburg City Directory, 1936 to 1939. In 1936 he was working as a salesman in St. Petersburg, with E. G. Barnhill. Barnhill is remembered for his colorful hand painted photographs and gold orotone view of Florida. Addison is found in the Miami City Directory from 1944 to 1946. Exhibits: The Halifax Historical Society has a small watercolor entitled The Pier, Daytona Beach. 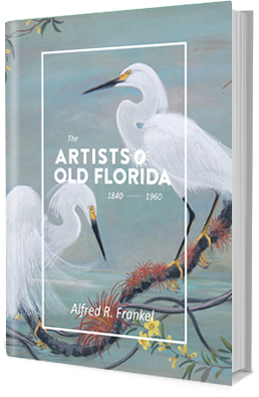 Directory: Listed in Polk’s Daytona City Directory 1914, 1915; listed in the Miami City Directory, as an artist, 1944, 1945, 1946 with a studio at 559 W. Flagler Street.